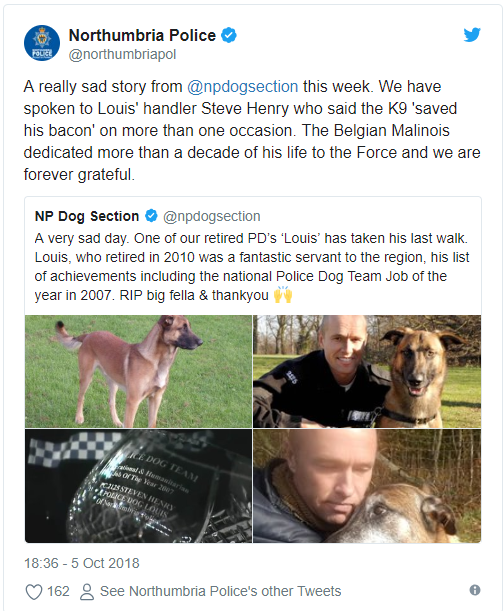 This is the story of Belgian Malinoishe Louis who served in the police for almost a decade and after retiring in 2015, started to live with PC Steve and his family in Durham. Before taking his last breath, he went on a walk with his owner for one last time. 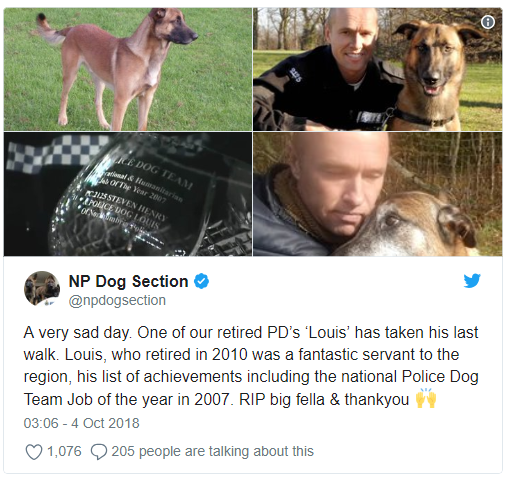 Louis was famous for catching lots of burglars and helping in rescuing many missing people. His greatest achievement was saving a woman in 2007 from doing a suicide after he found her from her scent. For this heroic act, he was awarded “‘Police Dog Team Operational and Humanitarian Job of the Year’”. Louis no doubt lived a life of a hero and will always be remembered by many. Northumbria Police also shared their condolences on his death. Don’t forget to share the story of Louis with your friends and family.